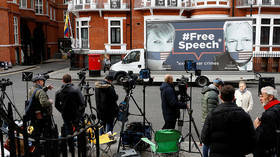 In response to the arrest of WikiLeaks founder Julian Assange in London, the American Civil Liberties Union’s (ACLU) Ben Wizner released a statement highlighting the serious danger his prosecution would pose for all journalists. “Any prosecution by the United States of Mr Assange for WikiLeaks’ publishing operations would be unprecedented and unconstitutional, and would open the door to criminal investigations of other news organizations,” he said. Prosecuting Assange wouldn’t only endanger non-American journalists. According to Wizner, this attack on press freedom is a two-way street. Prosecuting a foreign publisher for violating US secrecy laws would set an especially dangerous precedent for US journalists, who routinely violate foreign secrecy laws to deliver information vital to the public interest. As Pulitzer prizewinning journalist Glenn Greenwald pointed out on Twitter, if the US can arrest and extradite foreigners at will, what prevents other countries from “doing the same to US journalists who publish secrets about them?” he asked.